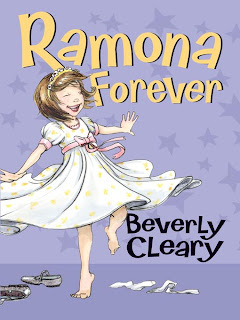 Fairmont Blog: BOOK REPORT mable's ms. roybal suggests everyone’s favorite 3rd grader...ramona! BOOK REPORT mable's ms. roybal suggests everyone’s favorite 3rd grader...ramona! I really like this book because I think third graders can relate to it in real life. It is a story about feeling older and grown up and making new discoveries. Ramona faces drama and several life-changing events in the book. She begins to feel that Howie's grandmother dislikes her, and she has a hard time getting along with her teenager sister, Beezus. Ramona is also challenged with the marriage of her Aunt Beatrice and the birth of a new sibling. Children can relate to annoying siblings, being blamed, weddings, and the birth of a new sibling. It’s another “Ramona” classic!